Meet my niece Eva, she was born yesterday, a week early on her mummy's birthday. Welcome to the world little one, be prepared to share a birthday party for the rest of your days. Although my sister insists that there will always be two cakes. You can see Eva's pretty nursery here. 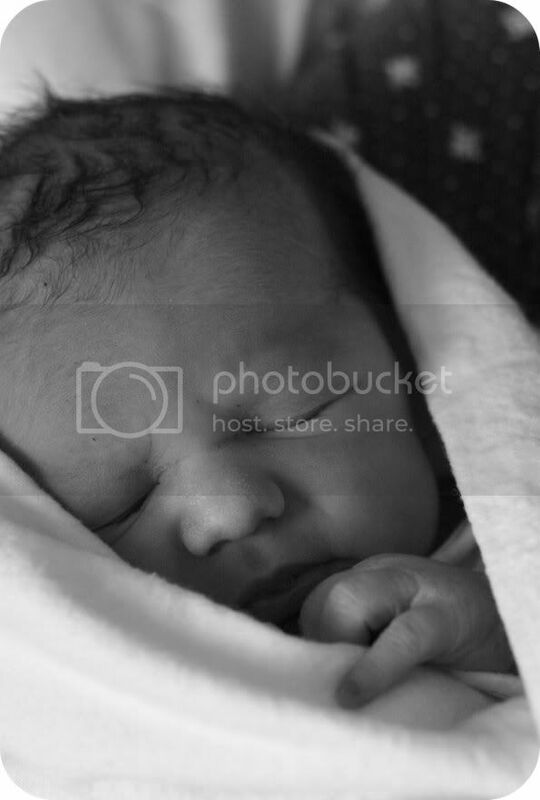 I've had two surprise nieces born this week, my sister in law also delivered (early) a beautiful baby girl named Bianca Joy on Wednesday (didn't have my camera with me sadly). So new babies all round, but don't worry I'm not getting clucky, I have enough on my plate.